Our ability as a nation to resolve contemporary debates about protesting police brutality, challenging unfair voting restrictions and removing Confederate statues from public squares all require knowing the history of race in America. 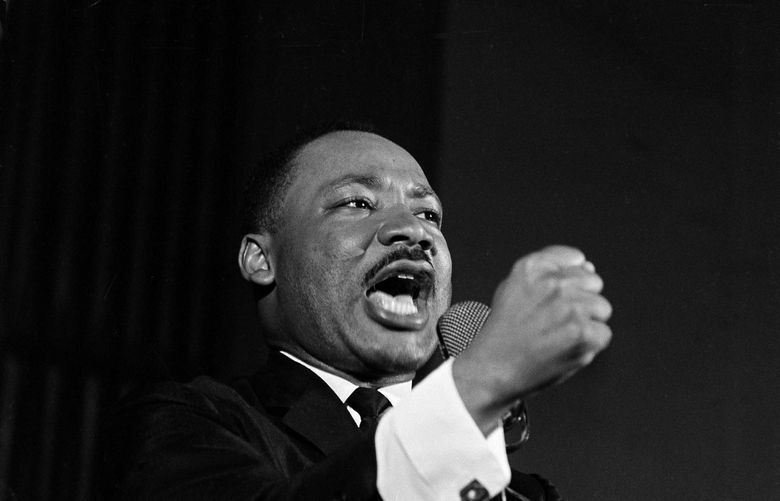 To truly honor Martin Luther King’s legacy, it is important for us not only to celebrate the progress that the civil rights movement made possible but also to grapple with the full truth of our nation’s history, to acknowledge the inequities with which our society still struggles and to recognize our individual responsibility for social change. As I reflect on our continued march toward social justice, I’m reminded of one of the most moving experiences from my time as U.S. Secretary of Education. It was in St. Paul, Minnesota, visiting the J.J. Hill Montessori Magnet School — the public elementary school where Philando Castile worked and was beloved by children, teachers, staff and families. I visited the school to mourn with the community after “Mr. Phil,” as the kids called him, was killed in an interaction with police in Falcon Heights. That deaths like his keep happening without consequence is outrageous. From my conversation at the school, it was clear that African-American and white members of the community had radically different experiences in life and in their relationships with police. A white female school staff member explained that she had never interacted with police until she began dating her husband — an African-American man — at which point she experienced frequent traffic stops. Indeed, our past and our present are complicated, and it’s critical for all of us to acknowledge this truth. We must confront the brutality of the institution of slavery and its defining role in America’s social, economic and political history. Our ability as a nation to resolve contemporary debates about protesting police brutality, challenging unfair voting restrictions and removing Confederate statues from public squares all require knowing the history of race in America. Consider how our country’s present-day struggles with racial inequities and institutionalized racism play out in education. Data plainly show we have failed to live up to the promise of educational equity in Brown v. Board of Education. Too often African-American and Latino students receive less than their white peers: less access to quality preschool, less access to effective teachers, less access to advanced coursework. Or consider that the African-American unemployment rate remains nearly twice that of white Americans and that Latinos face similar socioeconomic challenges — as well as new threats from the Trump administration. The reversal of protections via the Deferred Action for Childhood Arrivals (DACA) program, hostility to immigrants and the grossly inadequate response to the hurricane damage in Puerto Rico are especially troubling. And consider the 2015 report — “The Color of Wealth in Boston” — that found the median household net worth of African-American families in Boston is $8 (not $8,000 or even $800, but $8), while the median household net-worth of white families is more than $247,000. Certainly, individual choices play a part in people’s life circumstances, but we must address fundamental structures of inequality. And, collectively, we can make better choices. When I think back on the conversation in St. Paul, I believe one of the most problematic results of the “it’s-all-better-now” account of King’s life and legacy is that such a worldview releases us from our moral responsibility to make social change. I am convinced we will make better choices when we grapple with our history in all its complexity — the ugliness and the glory — and commit ourselves to increasing equity and opportunity for all. John B. King Jr. president and CEO of The Education Trust and a former U.S. Secretary of Education in the Obama administration. He wrote this for the Baltimore Sun.